Bring the fresh scent of green tea into the room with this green tea and activated charcoal infused Herbacoal Memory Foam Mattress. Dual layers of 2”, 3 Ibs. 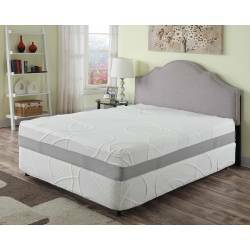 green tea infused foam and charcoal infused foam sit atop a 7.75” high density support layer supports the body with curve hugging gentleness and aerates for a pleasant sleeping experience. Thanks to its foam composition that never breaks down under body weight like springs do, this mattress will never need turning. 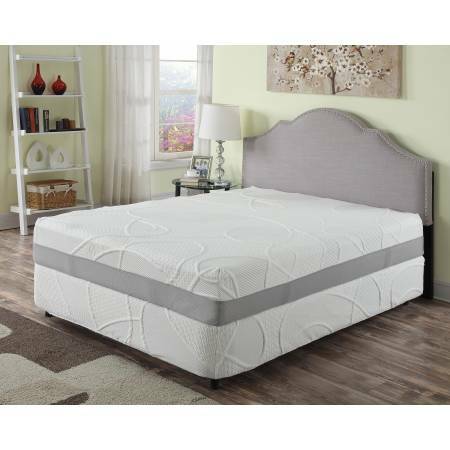 Each mattress is encased in a removable mattress cover that includes a quality zipper closure. 3rd layer, the base layer, is constructed with 7.75" inches of High-Density foam for bottom reinforcement. Product Code: HERBACOAL Queen 12"